Being a school librarian can sometimes feel lonely. To the outside ear, that may seem ridiculous. After all, we’re surrounded by our amazing students, collaborating teachers, school administrators, and perhaps also parent volunteers, district personnel, or community contacts. Does anyone other than our fellow school librarians, however, truly understand our below-the-iceberg, multi-faceted job? Our wonderful reality that is educator, reading advocate, social activist, and CEO of a small company. Does anyone understand THAT? Of course, at the end of a school year—when even my eyelashes are tired—there are times when I barely understand it. We can go days, weeks, months without coming face-to-face with someone who does our job, which makes us unique—and somewhat isolated—in our schools. Sometimes, this can feel professionally lonesome. Social media can help fill that gap, but being surrounded by other school librarians can be a gift. Attending a national conference, however, is out-of-reach for many of us, as our school budgets do not include conference attendance. This makes AASL’s support in sending new librarians to a national conference so meaningful. At the risk of sounding like a boring cliché, I never dreamt that I would be chosen to receive the Frances Henne Award and my excitement was only tempered by realizing there are multitudes of worthy new librarians doing amazing work with students in schools across the country. I feel a great and humbling responsibility to take advantage of every possible aspect of the opportunity to attend the AASL National Conference this November. I look at the conference site periodically. Okay—that is a complete lie. I look at it semi-obsessively. I cannot wait to learn and connect with school librarian colleagues from across the nation. I realize that there will be more than librarians there. Am I starry-eyed at the thought of hearing Jason Reynolds and Daniel José Older speak? Yes. Yes! With my Ghost + Sierra-loving heart, yes. But, the real stars? Who we ultimately work for? Our students. 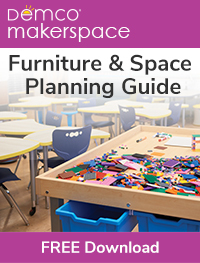 I’m most excited about leveraging this experience and the accompanying resources, tools, and ideas into an improved practice for and with my students. Transforming Your Existing Lessons with a Culturally Sustaining Pedagogy Lens from Casey Rawson, Sandra Hughes-Hassell, and Kimberly Hirsh. Thank you, AASL, for the Frances Henne Award. As a new librarian, I’m continually looking for ways to improve my library practice. 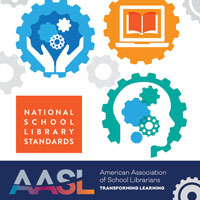 I cannot wait to attend the AASL National Conference this fall to learn with school librarian colleagues as we build inclusive library programs that are culturally relevant, reflective, and student-centered. For those days, we can be professionally lonesome, together. Julie – your column is very much on point. 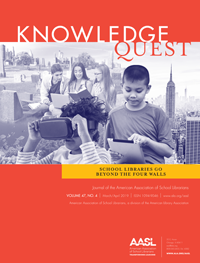 We need the connections that the AASL national conference brings us for ideas out of our regional or state wheelhouse. We need those connections for the confidence and validation they bring that we are on a good path toward bringing our students the best school library service within our reach. Congratulations on winning the Henne scholarship!